Summary: Spencer knows that Shifters and Shamans exist. He works with one of each. He knows that they can kill as easily as anyone else, but this case of the death of a famous, TV supernatural hunter is going to expand even his knowledge. “The Jet’s waiting,” JJ said to Hotch as Reid entered the briefing room. He was the last to arrive. “Nobody sit down,” Special Agent in Charge Aaron Hotchner ordered. Obviously, this was going to be a bad one. Everyone stood behind their normal seats and waited. The FBI members cleared out in a hurry. Garcia was left to tidy up before retreating to her office to investigate missing persons and then every single resident of Huntsville. Without Emily to talk to, thoughts tumbled in Reid’s head like a waterfall over rocks. He had extensively studied Shifters in general and werewolves in particular. Part of his job was to separate fact from fiction, but also to understand how people would react when faced with a Shifter. The biggest myth believed by the general public was that it was possible for a normal human bitten by a Shifter to be ‘infected’ and to become a Shifter themselves. Despite the fact that Reid had yet to find one correctly documented case study, the fallacy persisted. Given that even scientists couldn’t precisely identify how a normal human became a Shifter, was it any wonder that the general public believed such myths to be truth? Science had confirmed with the invention of DNA typing that Shifters were a combination of genes and stress. For those with more dominate Shifter genes, the amount of stress needed to produce a Shifter was less. For those with less dominate Shifter genes, for example one with a grandmother with recessive Shifter DNA, an extreme amount of stress needed to be applied for Shifter gene expression. So some normal humans did become Shifters after a stressful interaction with another Shifter –and who wouldn’t label any interaction with a 180-pound wolf as extremely stressful? In every case that Reid had read –and he had read everything available to his clearance level and several reports above due to Garcia’s hacking ability- the source of becoming a Shifter was engrained in the victim’s DNA and not from any wounds caused by a Shifter. The most revealing report acquired by Garcia for Reid’s last birthday had been a study completed by the Red Cross. They had feared that they were spreading the Shifter DNA through blood transfusions. They knew that any active Shifter would never –ever- volunteer their blood in a blood drive, so when they tested donated blood against Shifter DNA, they knew they were finding those with the deeply recessive gene. They were horrified and surprised with the results: nearly one out of seven blood donors had a recessive Shifter gene. The results diverged greatly with the assumed Shifter population. Though it was impossible to census Shifters, the general consensus approximated that somewhere between one person in one hundred eighty-nine thousand people and one person in three hundred twenty-six thousand people was a Shifter. That meant that a city like New York with a population of eight million, two hundred forty-four thousand, nine hundred and ten at the last census would have somewhere between twenty-five and forty-four Shifters. Reid was of the opinion that though the higher occurrence of Shifters was likely throughout the country, the Shifter population of New York City was closer to twenty-five. The confirmed incident reports of Shifters were seventy-five percent more likely to occur in rural and suburb areas. Logic dictated that the number of reports indicated a higher percentage of Shifters in those areas, making this particular case likely to feature an actual Shifter. Shifters tended to shy away from densely populated areas; Huntsville was the very definition of rural. Another conclusion of the report was that many, many more people had the capacity to become a Shifter written into their genes than actually were. The Red Cross classified medical report detailed the next step: whether the non-Shifter blood recipients could become Shifters. They found that the Shifter DNA in the transfusion blood did not rewrite the recipient’s DNA. So once the blood cells died and were expelled from the patient’s body, no Shifter DNA could be found in their test results. The report also confirmed that recipients of blood with the recessive Shifter DNA had a thirty-three higher percent chance of surviving their medical emergency. Once the immediate danger had passed, the recipient was ninety percent less likely to contract an infection. For obvious reasons, the medical report was not published. The general population would have been horrified to know that certain doctors had experimented on their patients and that the Red Cross potentially had a list of blood donors with recessive Shifter DNA. The medical community did issue an article theorizing that recipients of recessive Shifter DNA blood could not become Shifters even if stressed. Reid forcibly reigned in his mind and concentrated on this case. What would the team have to do to solve it? It was almost impossible to find a werewolf with physical evidence; any cross-contamination would vanish when the creature changed to its human form. Shifter poachers had to track through behaviors, which was why every suspected Shifter case was handed to the BAU. If the Shifter didn’t know its other nature, than the signs would be subtle and unconscious. If the Shifter did know about the wolf, then they would hide any signs. Wolves were the most probable Shifter animal in the Continental United States, due to the pack mentality that protected others of similar nature. Shifters without a support system tended to die. In Africa, there were Shifter-hyenas and lion prides that ruled the wild lands. They were given wide berth by normals, to battle each other when the territories overlapped. Occasionally, poachers would attempt to kill an African Shifter as a part of the ultimate safari. They rarely succeeded. Like all wild animals, werewolves and other Shifters were dangerous when cornered and threatened. They were predators that often hunted those that were hunting them. Australia had the smallest occurrence of death by Shifter of all the continents, since normals both avoided the wild lands where Shifters roamed and the laws punished poachers as severely as they punished murderers. In civilizations, the true danger occurred when people thought that there was a werewolf around. People would only become paranoid when a Shifter-suspected crime or death had occurred and those only occurred when a Shifter lost control. When a Shifter lost control, things would get hairy. Situational control could quickly slide out of law enforcement’s hands. The discrimination and persecution against Shifters crossed race and religious lines. Friends would turn on friends, family on other family members. People would accuse non-Shifters of the crime or death. Anyone accused of being a Shifter was in danger. For the BAU, progress had to be shown on the investigation, or the residents would ‘investigate’ themselves. People who preferred their steak rare were often the first ones lynched. African Americans and Native Americans were the second. As the BAU statistical guru, Reid knew that Africans and African Americans had four times the occurrence of Shifter genes than Caucasians. Native Americans had a similar occurrence of werewolf genes. Both groups had bred for the gene, as opposed to the Europeans who had tried to breed the trait out of the gene pool. Interestingly enough, just the opposite phenomenon happened concerning Shamans. The Europeans and Asians celebrated them and the Africans killed them. The educated opinion of Dr. Reid suggested that there was a long-standing feud between the Shifters and the magically inclined. The Shamans won in Europe and Asia and the Shifters won in Africa and Australia. The Native Americans were one of the few people groups world-wide that celebrated cooperation between Shamans and Shifters. Their oral stories were often told and spread to encourage tolerance worldwide. As a result of this influence, the Americas tended to be a mixed bag, with no clear preference given to either minority. It was illegal to discriminate against Shifters or Shamans, but it happened to both depending on the community. The military tended to quietly but aggressively recruit Shifters. The Secret Service also had a couple Shifters, as they made excellent bodyguards. It was perhaps the source of the highest salary a known Shifter could earn. Shamans flocked to the political arena, while never revealing their powers to the public both in the United States and in Europe. In Europe they would have been accepted, but Shamans were secretive by nature, stereotypically the ‘anti-social scientist’ type. A high-level US Representative, Jani Santoro, had been voted out of office once it had been revealed that she was a Shaman. The FBI didn’t have many of either supernatural subset. The BAU was unique in that they had one of each among their team. Morgan was a were-lion and Prentiss was a very weak Shaman, with European training. Unbeknownst to the FBI, Hotch was a supernatural that didn’t fit into either category. JJ walked back into the cabin of the plane, distracting Reid. Hotch looked her. “Still quiet.” It should have been a question, but the SAC could read her face. “Considering how spread out they are, they are doing really well,” Prentiss mentioned. “Exactly. The queen of endangering supernaturals herself.” Garcia lived in constant fear that Swift would come after either Morgan or Prentiss. Swift’s exposé on US Representative Santoro had booted her out of office. Swift was not afraid of going after the well-connected as well as the homeless. Her only stipulation was that her targets were supernaturals. JJ looked at little perturbed. She hadn’t had much time to look at the case file. 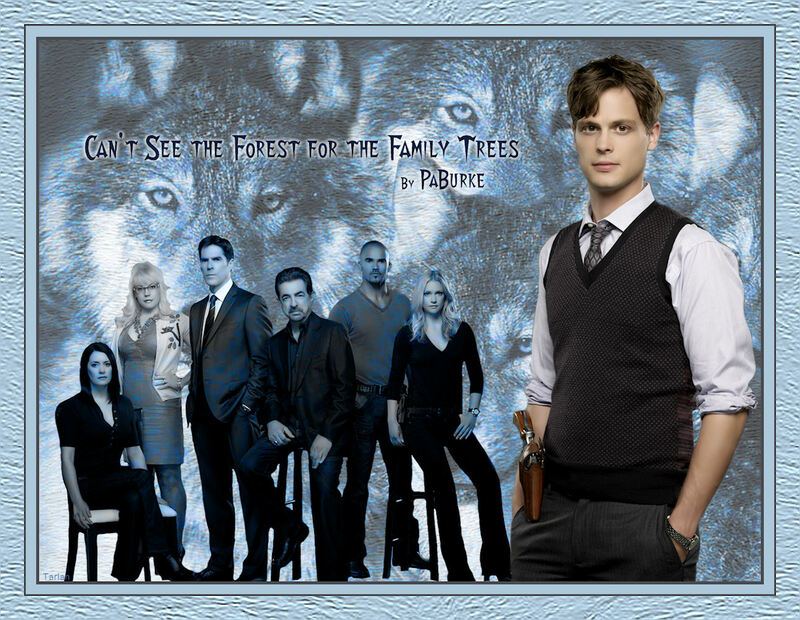 If it even looked like a Shifter kill, it was shoved onto the BAU and they rushed to the scene of the crime. The unit had investigated eleven suspected Shifter kills the previous year; only three had been truly done by werewolves. One had been done by were-cougar. Normal humans trying to hide their connection to the victims had perpetrated all the other killings. JJ hadn’t connected Sherri Swift’s name –then missing- the first time she read it as a possibility of being the victim. This was going to be a media extravaganza as soon as word leaked out, which it would, possibly (probably) by Swift’s own producer. The producer had a financial reason to leak her death as early as possible, more people would watch her shows out of morbid curiosity. “And the sheriff’s little theory just became a lot more plausible,” Rossi remarked. Reid shifted uncomfortably, remembering a tiny detail. He had watched the show due to its popularity and in hopes that they refuted the ‘bitten can become Shifters meme.’ Unfortunately, the show had chosen to perpetuate the myth. They also hinted that Shamans can exert mind control, decidedly not true. If it was, Santoro wouldn’t have been voted out of office. “Stakeout? No, stalking,” Prentiss murmured. “Like stalking a priest who was trying to help homeless Shifters into a situation where they can exert control over their circumstances.” Shifters had to have control to Shift and they had to Shift to have control. The opposite was a vicious circle that Father Marcum of a parish on the fringes of New Orleans had been trying to break. The team paused for a moment to reflect on Swift Supernatural Exposé. That particular exposé had aired four weeks ago and the next night the parish priest’s church was burnt to the ground. Father Marcum, three homeless Shifters and a children’s choir had burned to death. The police still didn’t have any suspects. Since the priest had moved into that parish and started his homeless outreach, not a single Shifter-caused death or maiming had been reported in that town. The arson had not been out of a local person’s need for revenge, but out of fear, superstition and racism. Since there had been no recent Shifter incidences, and a higher than average concentration of Shifters than expected resided in the parish, Reid suspected that the community must quietly support them. The community had loudly denounced the fire. The arsonist was probably from another town or state, driving into the Louisiana town for the sole purpose of killing the Shifters. The church arson was merely the latest in a long line of crimes against supernatural beings outted by Swift Supernatural Exposés. Swift Supernatural Exposés had been one of the highest rated cable shows for the last two years. Boycotts and protests against the show only pushed the show to new extremes. The Vatican had publically condemned the show for leading to the death of a priest. They and Reid held Sherri Swift responsible for a number of Shifters and Shamans being exposed to danger, but since she and the rest of the crew never acted out any violence personally, no one could bring her up on criminal charges. The show was always fighting civil suits. “You rock, Baby Girl. Where?” Morgan encouraged. The pilot reported that they would be landing in fifteen minutes and the team tidied their mess and gathered their belongings. A local law enforcement officer was waiting at the regional airport with two SUVs. Reid appreciated them being prepared. The sheriff was short, measuring five foot, two inches, with a full head of white hair. He weighed approximately one hundred and seventy pounds, most of it muscle. He was the very definition of ‘barrel-chested.’ Reid watched him shake hands with Hotch and introduce himself as Sheriff Michael Todd. The sheriff moved smoothly and didn’t mind that the entire BAU team was taller than him by a head. His deputy was of Mexican heritage, five foot five inches and thin. As Reid listened, he decided that they were competent and knowledgeable. They knew their territory and their people. They truly did not believe that their community would try to find the Shifter on their own. If a mob did not form in Huntsville, than it was truly a unique and level-headed town. Reid climbed into the back of Todd’s SUV with Morgan and JJ. Hotch, of course was in the front. JJ climbed all the way to the back, with her phone attached to her ear. She was negotiating with Swift Production Company. Todd understood that they were heading toward the motel where Swift and her people had rented rooms after a quick look to evaluate the town’s state of mind. Rossi and Prentiss climbed into the SUV driven by Deputy Cortez; he would drive them straight to the dumpsite. The sheriff and his deputy looked slightly surprised at their eagerness to start working before even dropping off their toiletries at their temporary residence. They didn’t understand that it was wariness and preventative measures. Once Reid saw the actual town, he realized why the local law enforcement was so caviler over the possible trouble. First, the town was tiny. Thirty minutes away from the regional airport, they drove off the freeway and through the bulk of the town to the sheriff’s station in less than five minutes at the appropriate speeds. Reid could see the end of every residential street and knew that none turned out of sight. He calculated approximately three hundred residences. He counted three diners, two gas stations, five churches, six taverns and one fast food restaurant. There was a smallish grocery, two banks, a medical clinic and a hardware store. The school was kindergarten through twelfth grade. From estimating the perimeter and dividing it by the number of classrooms, Reid could deduce the size of each grade level. He guessed that each graduating class had somewhere between fourteen and nineteen students. The second reason Todd was confident in his people was that they were not rioting. They were not congregated around the sheriff’s station yelling for news. Nor were they grouped together on the sidewalks. There weren’t an abnormal number of cars in front of any of the bars or any the churches for the time and day. People were walking around, seeing to their own business. The residents looked worried and preoccupied but not fearful or angry. Reid exchanged a look with Morgan and knew that he had come to the exact same conclusion: this town was not on a brink of a lynching. The profilers were impressed, but knew that they couldn’t slack off at the apparent lack of a mob. They had to find the killer fast.